This handbook was compiled to aid people in collecting and preparing high-quality botanical specimens. It covers such basics as choice of field books and writing instruments, pertinent field data, how to locate specimens, and techniques for collecting, drying, and preservation. Other topics include how to sort collected specimens, notes on mounting specimens, and a checklist of items to be packed for field-collecting activities. 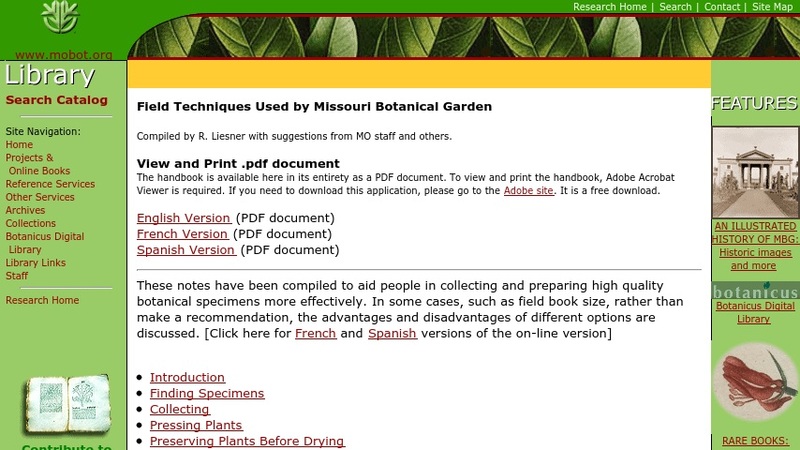 There is also a list of books and publications on collecting and preserving plant specimens. Available as PDF as well as html document.